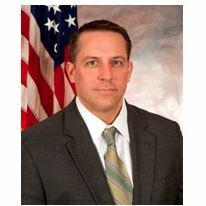 The FBI’s Pittsburgh office has a new special agent in charge. On Monday, the FBI named Scott S. Smith, a veteran agent with ties to northern Ohio, as the office’s new leader, replacing Doug Perdue, a two-year veteran of the post who is embarking on an assignment in Washington D.C., the Pittsburgh Post-Gazette reports. Smith most recently served as chief of the Employee Services Section in the Human Resources Division in Washington D.C.
Before becoming an agent in Cleveland, Smith was a deputy sheriff in Lake County, Ohio. Since arriving at the FBI, Smith has had several roles. He worked the violent crimes desk in Cleveland, did a sting in the bureau’s International Terrorism Operations Section and organized a group of agents, analysts and language specialists in Iraq in 2005. Posted: 4/15/14 at 9:32 AM under News Story.